The Fujifilm probably represents the most seriuos and complete camera with fixed lens ever produced. It was built around a special 2/3 sensor developed on porpouse. Having a surface of about 0,58 cm2 (8.80 x 6.60 mm), it is among the largest sensors built inside a fixed lens camera in the last years. With its dimensions it has the ambition to compete with the sensors of some entry level dSRL. All the most important settings (iso, exposition time, aperture) can be accessed directly from the camera body through dedicated buttons or buttons combinations, without having to go through the menu. The focal lenght can be changed through a mechanical gear on the lens, which possesses also a second, smaller, gear for manual focus. In reality the manual focus it not genuinly manual, but servo assisted, and not particularly efficent. The dimensions and the weight (almost 1 kg) make the s100fs not suitable for the ones who are looking for a pocket camera. On the hand the fact that the lens garatees focal lenghts from 28 to 400mm (equivalent) means that in a small bag you can carry with you what in the case o a dSRL would need a large and heavy bag or a rucksack. An other important good quality of the s100fs is that it allows to shoot raw efficently, without large pauses between each shot (just 1,5-2s). It is a rare quality among fixed lens cameras. It must be underlined that you need a fast card to exploit it. Don't belive the ones who tell you that cards make a difference only in the case of dSRL! All the pictures on this website (until now) were shot in raw with a Fujifilm s100fs, developed with s7raw and treated with Noiseware for mild noise reduction. For more details see further below on this page. Significant chromatic aberrations at the longest and, in particular, the shortest focal lnghts. Fortunately it can be almost completely removed at the level of s7raw. The manual focus is very difficult to use. In fact it is difficult to correlate the rotation of the gear with effect produced, both because of the unsufficient resolution of the electronic viewfinder (in particular with low light conditions), and, and most of all, because of the lack of proportionality between the rotation of the gear and the real machanical movement produced in the lens system. The focus setting gets lost when ever you look to a shot picture, even in manual focus. Some incompatibilities between settigs, seemingly without any logic. Regarding the macro mode, the camera doesn' t maintain the promises. In fact, the more you get nearer to the subject, the more you have to reduce the focal length, so that the size of the subject in the picture almost doesn' t increase, even when the lens comes to the minimal distance in the super macro mode (1 cm). 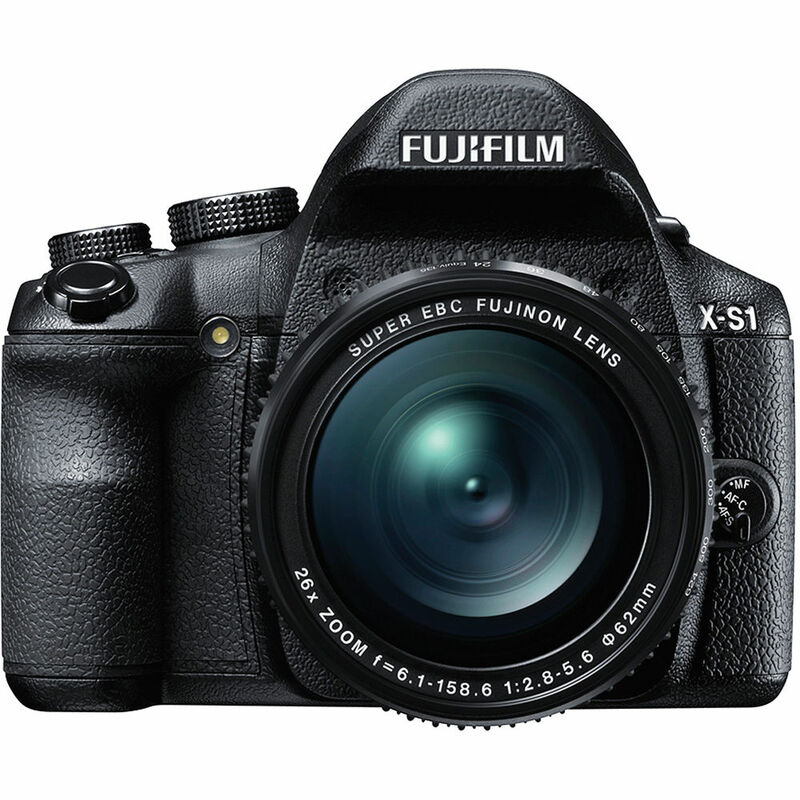 The Fujifilm x-s1 is the most complete and serious fixed-camera camera ever produced with manual zoom ring. Like the Fuji s100fs, it too has a 2/3" sensor (8,8 x 6.6 mm, 0.58 cm2), therefore bigger than the one in most fixed lens cameras. It has dimensions and ambitions almost like the ons of a reflex. LCD viewfinder and LCD screen with a significantly higher resolution. Possibility to choose ISO on a finer scale. All photos on this site taken with the Fuji xs-1 were shot in raw format and processed with RAW File Converter (a dedicated version of Silkypix). No additional Noise Reduction Program was used, however, because it was noticed that this does not bring any real advantage, but only a loss of detail. Significant chromatic aberration to some focal lengths, in particular at very short focal lengths. It can be however completely eliminated by shooting in raw. Autofocus light less effective than in the Fuji s100fs (but anyway more effective than in the Panasonic G2), due to the location where it is placed and the lens's bulky shape. This makes it more common to have focusing difficulties in lower light conditions. Focusing gets lost, even in manual focus mode, whenever you look at a photo taken (and, of course, whenever you turn off the machine). Some incompatibilities between settings, apparently without logic. Sometimes after shooting the rotation of the selection wheel loses effectiveness. To "reactivate it again", press the shutter button halfway. Flash autofocus assist lamp is not activated by pressing the shutter button halfway (something that seems common to almost all non-reflex cameras). You can not change the subject's exposure in the foreground when using the flash in ttl mode. Changing the aperture induces the camera in fact to command to the flash to compensate automatically in the corresponding way, so that the subject illumination will remain unchanged. The custom settings system (C1, C2, C3) is strange and not easy to understand. In fact, on a middle and long term it saves certain settings and replicats them when you re-select that particular C position. On a short term, instead, it simply saves the settings that you last used while you selected that C position. I.e. it is a memory of three standard settings, but only after a certain time the camera is switched off (10 minutes? ), otherwise the C positions are three separate memories of the last settings used! I had to make ad hoc trials on my own to find out how it works! There is a significant lag in what is displayed in the viewfinder or on the screen compared to the actual situation. Shooting fast moving subjects can be a problem, not so much because of focusing, but because the subject may already be out of sight when you click the shutter button. Compared to the Panasonic G2, the colors are even or even better. The detail is, however, significantly lower. Is is therefore a great all-round camera, but it obviously requires compromises. 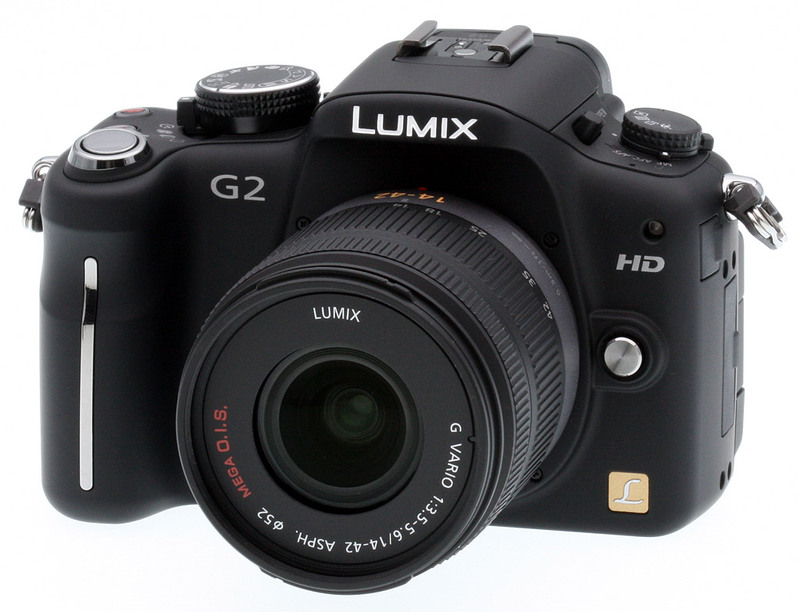 The Panasonic G2 is a mirrorless micro four theirds camera. It has therefore a sensor of 4/3 size (the same of the sensor of the normal Olympus dSRLs and four times the area of the sensor of the Fuji s100fs) and it lacks the mirror, so that the light reaches directly the sensor also during framing and shooting. Because of the absence of the mirror the viewfinder is not optical, but electronic. Its image quality of the small LCD screen inside the viewfinder is high, particularly regarding resolution and sharpness. The technical features can be found on the linked web pages. In the following I will list the the strengths and the weaknesses of the camera, in particular in comparison of the Fuji s100fs. In general a mirrorless camera is in my opinion the the natural upgrade if coming from a high end bridge camera like the Fuji s100fs, more then a traditional dSRL, since the presence of the electronic viewfinder and the efficient liveview are necessary conditions to maintain the same shooting style. The electronic viewfinder is very sharp and bright. It permits manual focusing, even in rather difficult light conditions (after some practice). The image, nevertheless, is a bit innatural, expecially because of the too high contrast. The images are sharper then with the Fuji s100fs, but not so much as it could seem at first glance. The point is that s7raw, because of the interpolation process necessary for the superccd sensor, creates jpg images which are much larger than they should theretically be condiering the number of pixel in the sensor. If you downscale the images the size they would have with a normal sensor the difference gets much smaller. 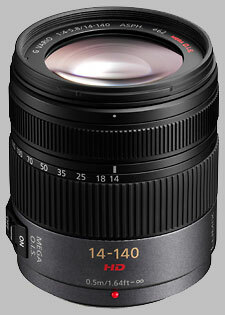 With the 14-140 zoom (28-280 equiv., see further down) the autofocus is very fast, significantly faster then in the Fuji s100fs. Flying seagulls, a rather difficult subject with the Fuji, become an almost easy subject with the Panasonic G2, with many pictures in perfect focus. 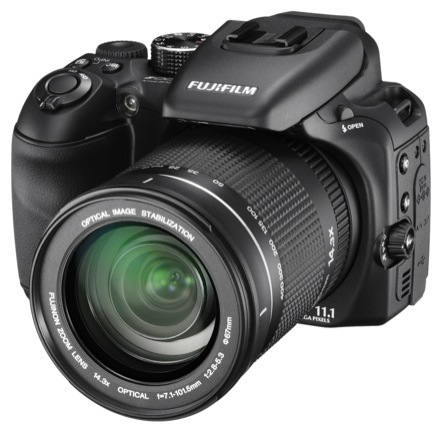 Due to the four times larger sensor the noise to signal ratio is better than in the Fuji s100fs. Unfortunately, with the 14-140 zoom, the difference is at the end not so large, because the lens is not very fast, in particular at the shortest focal length (4.0 against 2.8). At longer focal lengths the aperture difference gets smaller (5.8 against 5.0 at 300mm equiv), so the signal to nois gain gets larger. An other problem is that the noise is more diffult to remove with the denoise softwares without creating unpleasing artfacts. So a larger amount of noise has to be left in place. The colors of the LCD screen are rather poor, and the contrast is too high. The image taken often appears at first glance significantly worse than what it really is. This is never the case with the Fuji s100fs. The autofocus assist light is too weak and in not very good position. During shooting it is easy to shadow it, and the same does the 14-140 zoom when used at longer focl length. Very sensless is the fact that bracketing requires that you keep the shooting button pressed. It makes impossible to avoid vibrations using the selftimer (which anyway exclude each other already at the selector level). The Multi-angle swing and tilt LCD is not so comfortable as it could seem. It often not easy to understand how to set it in order to get the best view. In many cases the simply tilting screen of the Fuji s100fs is easier to use. The LCD screen of the Panasonic G2 is better only in case of pictures in the portrait position. When the subject is darker then the background the autofocus tends to focus on the second, even when the autofocus assist delivers enough light. Decreasing the autofocus area doesn't help. The same can happen also with the Fuji s100fs, but more rarely. In spite of the four times larger sensor area than in the Fuji s100fs, the dynamic range is not larger. It sometimes seems that it is even smaller. But probably this is only an impresion, due to the fact that the pixels get saturated in a rather abrupt way, so that the saturated areas of the pictures get an innaturally sharp edge. The minimum time of flash sync is 1/160. Definitely a long time, which makes it uncomfortable using it outdoors during the daytime. The mechanical shutter makes the machine not silent. It is an automatic non TTL flash unit (the camera has a hotshoe for an external flash, but no TTL communication for metering). The front lens can be shifted longitudinally to adjust the width of the light beam. Furthermore the intensity of the flash can be chosen between three values. In fact, after some exercise, the absence of the TTL communication with the camera appears to be a very secondary limit. and it becomes very easy to guess the right aperture for given ISO and subject distance. It is also very important to use the zoom of the flash, since having a narrower flash beam permits to concentate more light on the subject and so to use lower ISO settings and therefore to reduce the noise of the picture. The only serious drawback of this flash unit is the door of the battery room, which opens very easily, with the risk of loosing the batteries. It was necessary to srew a small extra alluminium lock to solve the problem. 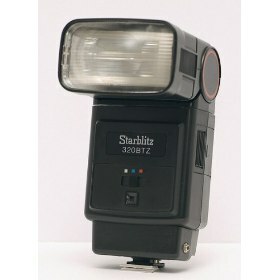 Since middle of December 2010 I have started using also a Starblitz 320BTZ flash unit, which is in fact better than the Metz flash from various point of view. Old school automatic flash (no ttl) with good power and reload times. 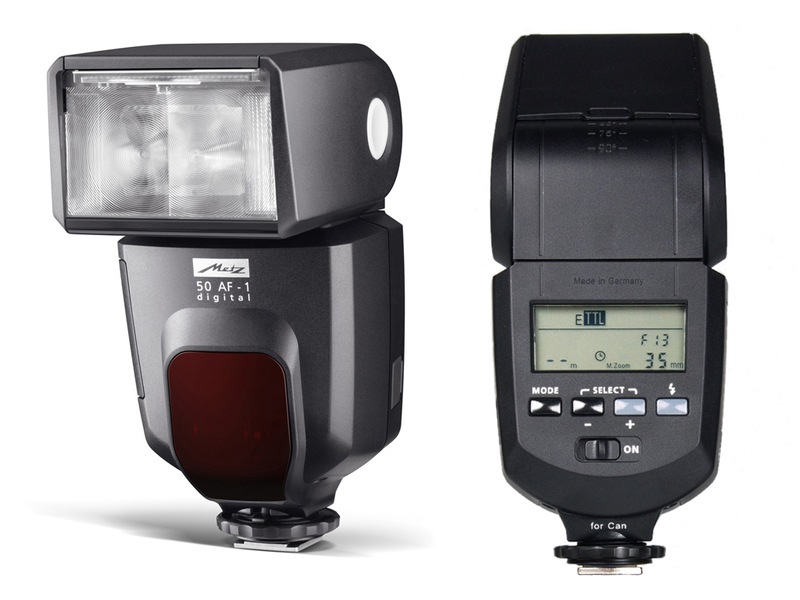 As usually in this kind of flash you can choose between automatic illumination intensity levels plus manual, which means full power all times. 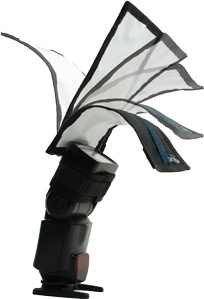 The telescopic head can be extended in order to focus the light. In the most extended position and with stronger light emission chosen you can illuminate effectively subjects which are really far away (even 10m or more). The weak point is the plastic foot, which after a certain time starts to break. 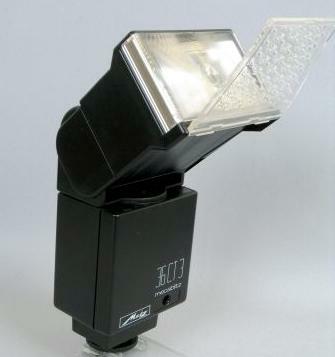 An other automatic no ttl flash unit. Curiously its structure is identical to that of the Starblitz, if not for the presence of a further light on the front of the body. You can choose whether to let it turn on or not with the main light. Pros and cons are identical to the ones of the Starblitz. In 2013 I bought for the Panasonic G2 a Metz flash with dedicated attack, with the intention, on the one hand, to exploit the potential of the TTL, on the other to have also the autofocus assist light of the flash, since, as explained, the autofocus assist light of the Panasonic G2 is often too weak. Unfortunately, I encountered difficulties in both things. First, the autofocus assist light is not activated at all on non-dSLR Panasonic cameras, just as the Panasonic G2. Unfortunately, this aspect is rarely highlighted, and neither on the instructions nor on the Metz website it is possible to find information about it. Regarding the TTL mechanism, it stops working when you move the flash head from default position straight forward. If you want to use the lightbender, then you lose the TTL. Therefore, the convenience of the TTL is alternative to the possibility of having a softer and more custom light with the help of the lightbender. In general, the use of the Metz 50 flash has proved more difficult than expected. Its main advantages are the fact of recharge almost instantaneously (except in the case of maximum intensity light emission), the presence of a metal foot and the fact that there is a latch that does not allow the flash to disengage accidentally. Apart from these limitations, an other problem is that the it starts smelling of burnt when the light goes on too frequently or the light intensity necessay is above a certain level. So practically I don't use it almost any more. 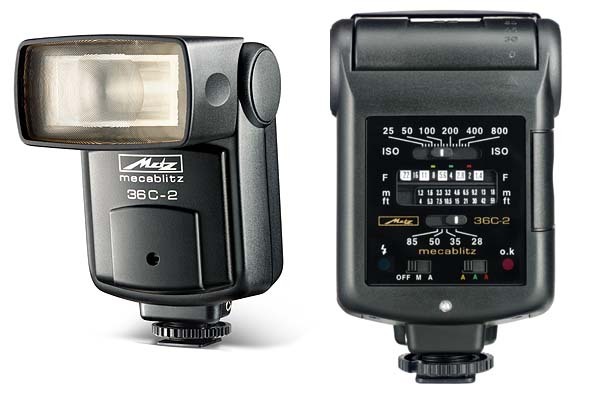 The Metz 36 CT 3 is an advanced automatic flash. Unlike for example the Starblitz, which has only three reference levels of light intensity emitted and in which the ISO and aperture grids only serve for orientation, in this case the aperture grid (but not that of the ISO) is really connected with the flash electronics and so, acting on it, you can fine-tune the light intensity reference level. There is a strange mechanism to allow the entire flash to tilt down a little bit, but when it unlocks it makes the whole flash wonky and every time it is difficult to return to the standard position. 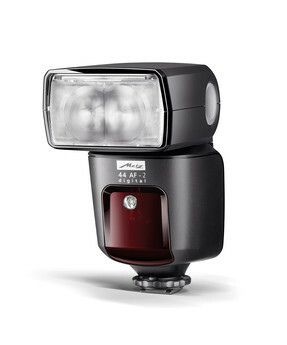 TTL Flash with dedicated attack for the Fuji x-s1. Its main feature is simplicity of use: four buttons on the back allow you to choose between TTL mode, manual (four-level fixed emission emission), slave and LED mode in which the LED present in the base is activated. Also in this last case you can choose between four light intensities, simply by clicking on the same button. Bought in the wrong hope that the LED would also light up as autofocus assist lamp (actually the autofocus assist light is present but does not light up if you use the flash with Fuji x-s1) it has nevertheless proved to be very practical. TTL mode allows you to handle most situations in a satisfactory way, and when you want to change the subject's illumination (or you have to take pictures in front of a reflective surface) you can switch to manual mode quickly enough to use it as a complementary shooting mode. Untill now I have used the Panasonic G2 exclusively with the zoom Panasonic Lumix G HD 14-140mm F4-5.8 OIS zoom lens, 28-280 mm equiv. The maximum focal length doesn't reach the 400 mm equiv. of the Fujifilm s100fs, but the difference is in practice not so significant. Very good allaround lens, which permits to pass from group photography in parties to stolen portraits with just torning the gear. Also the macro capabilities are not bad, being possible to come up to only 50cm to the subject. Reduced chromatic aberration. It is present at shorter focal lengths, but in smaller amout then in the case of the Fuji s100fs. The manual focus gear is easy to rotate and the manual focus (which is servoassisted) is efficient and enough fast (although a mechanical manual focus would have been much better). The largest weakness is the small aperture at the smaller focal length (starting from 4.0), which make the lens very light thirsty. Barrel distorsion visible at shorter focal lengths. The lens was designed with corrections in mind at the level of the jpg creation. Shooting raw this passage is of course missing. The focal length gear is not very easy to rotate. 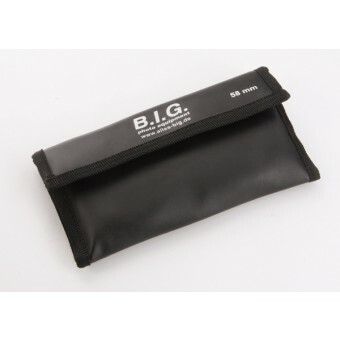 This can be also an advantage, because it prevents focal length changes due to the weight of the lens. Unfortunately manual focus is servoassisted. I have discovered that for taking pictures during evenings and parties with the Panasonic G2 the standard kit zoom is a good choice. In fact it is much more inconspicuous than the superzoom lens and being smaller it doesn't interfer with the autofocus assist lamp. In fact it is an absolutely good lens, and when longer focal lengths are not necessary, it offers the advantage of a slightly larger aperture (3.5 against 4, which in the case of poorly lit interiors may be a very useful difference). Otherwise from the 14-140 zoom the optical stabilization is always active (the switch is missing). The stabilization up to now has proved to be on the same level as on the larger lens. It should also be said that the fact that the kit lens is much lighter than the superzoom lens makes the camera feel much more balanced in the hand. 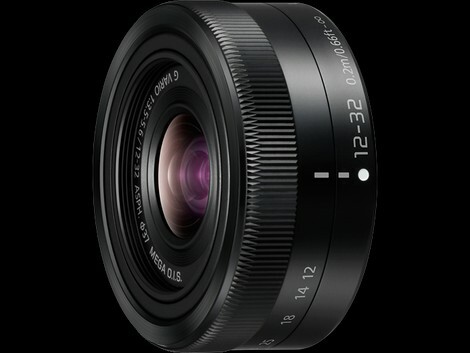 Lenses - LUMIX G VARIO LENS, 12-32MM, F3.5-5.6 ASPH. New purchase for photos of interiors. 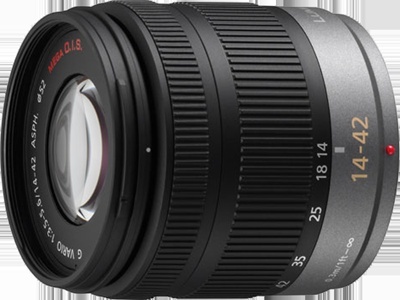 The 24mm equivalent offers significantly wider angles than the standard zoom lens and the minimum size makes it a highly portable lens. The lack of the ring for manual focus was never a problem until now and the image quality was always found to be more than satisfactory. The only flaw, of a lens it must be said very economic, is that it is a little limited, since 24mm equivalent is still to long to allow a professional use as regards photos of interiors and 64mm equivalent often are not enough and sometimes oblige you to change lens even when you take photos of churches or other internal, if you want to take photos also of interesting details. New purchase for professional photos of interiors. The 18mm equivalent offers angles that are suitable also for professional use, like hotel rooms, locations and other interiors. Since all these pictures can be taken with a tripod, the absence of an image stabilizer is not a problem (contrary to Panasonic cameras Olympus cameras have a sensor image stabilizer, so that Olympus lenses don't need one). The disadvantage of this lens is that it is only a wide angle lens, at all focal lengthes. It is therefore absolutely necessary to have also an other lens (e.g. the standard zoom) in order not to be really very limited. It has to be underlined that even the LUMIX 12-32 lens is much more flexible, since at its longest focal lengths it is a already very weak tele. Another flaw is that the focal lentgh can change slightly after repeating focusing (focus breathing). Since December 2010 I use also a flexible light diffuser for the flash. It is a white panel which can be folded, keeping the form you give to it. It permits to obtained a much softer and much more diffused illumination than without it. The way it is most often used is with the flash directed vertically upwards and the panel also kept vertical. To reduce or increase the amount of reflected light the panel can be flded slightly backwards or frontwards respectively. The only serious drawback is that the necessary intensity of the emitted light flash increases significantly. You need an appropriate flash unit: the Starblitz is OK, but the Metz is often too weak. The other, les serious, drawback is that the system stops being compact! Update: The new version of the diffuser described here is less practical than the previous, because the surface is almost flush and only the reinforcement along the major axis keeps it up. Therefore it is more difficult to give it a precise shape. Set of three extra lenses for macro pictures, +1, +2, +4. Diametro 67mmm (for the Fuji s100fs). Unfortunately the set doesn't comprehend any instructions nor technical data. Theoretically it is possible to use more lenses at the same time. The results suggest to avoid this option, since it seems to be connencted with a strong increase of color aberrations. In general the optical quality of these filters is not very high and only the weakest filter (+1) doesn' t worsen the image quality visibly. But at the moment this is the equipment I have! On the other side these filters have the advantage of being light and small, making it easier to take macro pictures also in difficult situations. In particular, their low weight permits to use the autofocus of the camera. It should be added that I discovered that activating the Super Macro mode, the chromatic aberration is reduced. Set of four macro filters +1; +2; +4; +10. 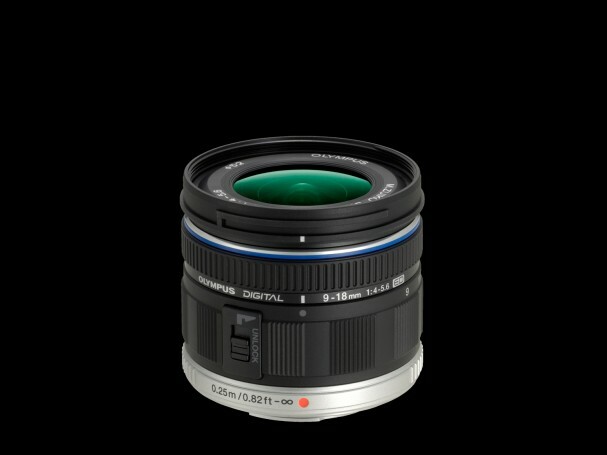 The 62mm diameter makes it possible to use them both on the Fuji x-s1 and the Panasonic 14-140mm zoom. I still used them too little to be able to make a judgment. 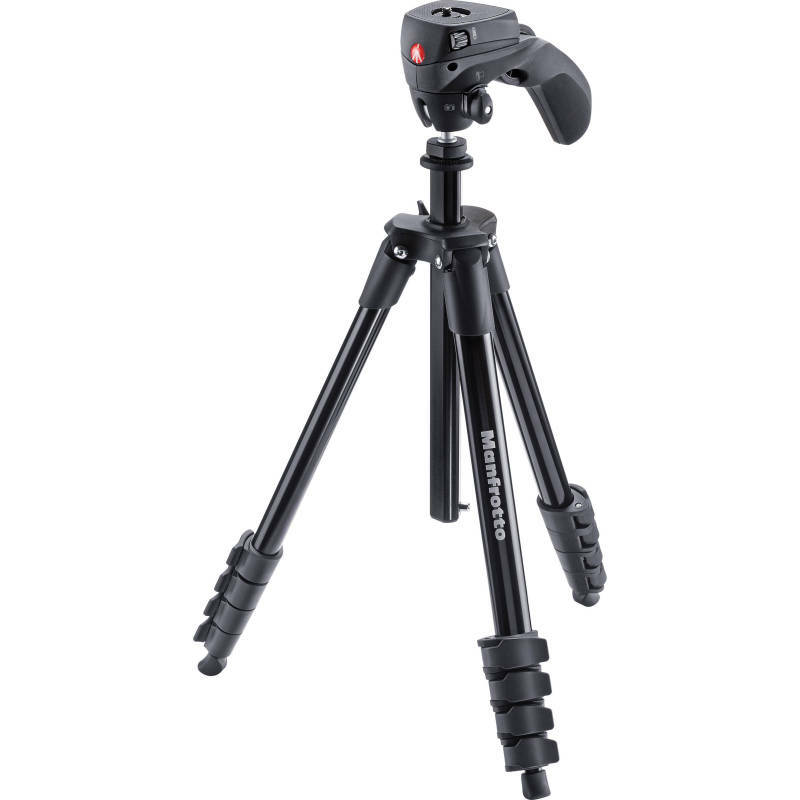 It is a lightweight and not bulky tripod. Ball head. It is easy to find the right orientation. The rubberized wheel fastening system is very fast. The knob is very cumbersome and creates an obstacle when you have to point the car upwards. The round shape and the small size of the plate to be screwed on the camera make you fearful of losing it. 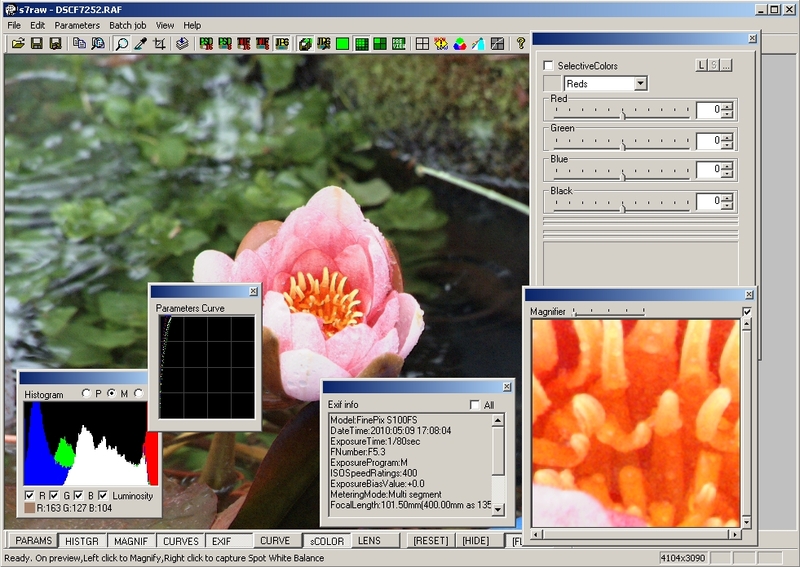 Editor freeware for the development of files raw optimized for Fujifilm cameras. It can be downloaded here. A tutorial can be found on this web site. The pages are not new and refer to an older version of the program. Silkypix SE (Special Edition) is the version of Silkypix included in the Panasonic G2 box. The only difference compared with the normal version is that it can be used only with the Panasonic G2 and with no other camera model. 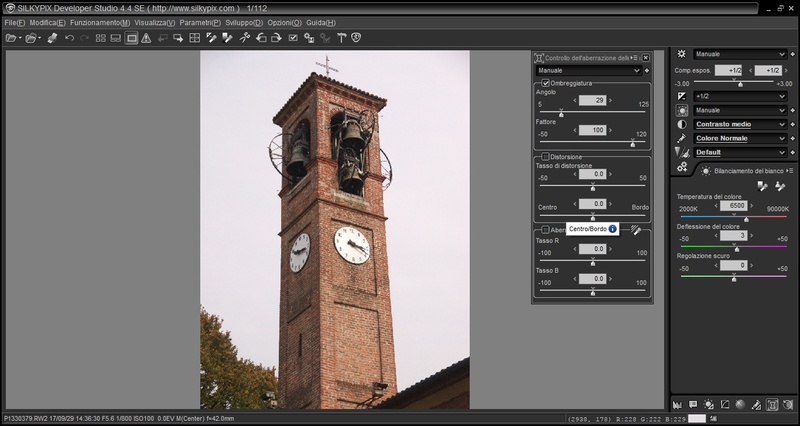 The program is not very intuitive, but it has strongly improved regarding sharpness and white balance. 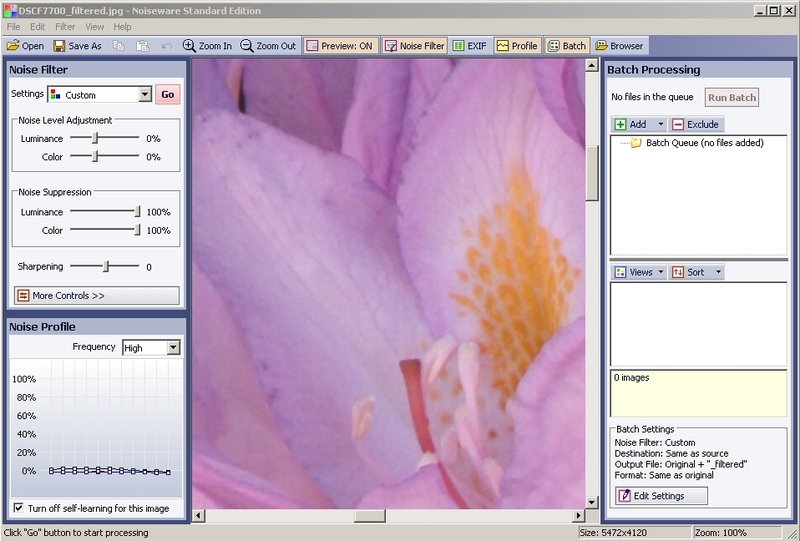 Program for the reduction of noise in pictures. There is also a freeware version, but the one use is the "Standard" version, which contains several useful extra features, in particular it maintains the Exif data and permits the development in batch of many files. The freeware version (as also the other versions, or trial) can be downloaded here.